The purpose of this scholarship is to support currently enrolled students who attend a Historically Black College or University in North Carolina. This is a need-based award with consideration given to merit, service, and character. 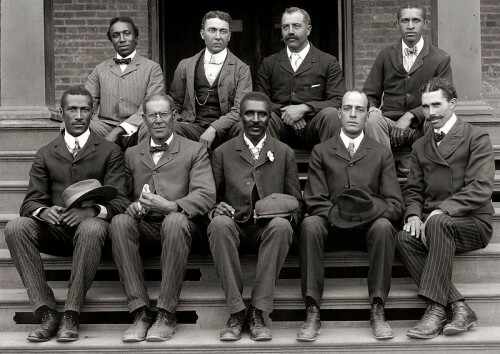 The intent is to help students with the potential to become HBCU Living Legends. The scholarship is for $1,000.00. The sponsor will deposit the funds in the award recipient’s university account for the upcoming semester. Funds can supplement college-related expenses, such as books, lab fees, and other incidental expenses. Students can reapply for this scholarship annually. Complete the application in full using MS Word or other word processing programs. Submit by email to: hbculivinglegends2019@gmail.com or by mail to: HBCU Living Legends Scholarship, PO BOX 12392, Winston-Salem, NC 27117. Provide a letter of reference from a university employee (i.e. an advisor, teacher, coach, staff member, etc.) in a sealed envelope, signed across the seal. Complete applications, including the letter of reference, must be postmarked or received by July 1, 2019, to receive consideration for consideration for the Fall semester and by December 15th for the Spring semester. Fill Out The HBCU Scholarship Application and Click SUBMIT. HBCU Living Legends Scholarship Application 1. What is your full name? ________________________________________________________________ LAST NAME	FIRST NAME	MIDDLE INITIAL 2. What is your contact information? ________________________________________________________________ STREET ADDRESS ________________________________________________________________ CITY	STATE/PROVINCE	ZIP CODE ________________________________________________________________ PHONE	E-MAIL ADDRESS 3. Which North Carolina HBCU are you currently attending? ________________________________________________________________ 4. What is your classification and major? ________________________________________________________________ 5. What is your current GPA? _________ Attach an unofficial transcript. 6. Briefly describe your need for this scholarship. (Attach a one-page MS Word document.) 7. ¬ List your extracurricular and community service activities. (Include any descriptions or details as attachments.) ________________________________________________________________ ________________________________________________________________________________________________________________________________ 8. Briefly describe why you have the potential to become an HBCU Living Legend. (Use additional space, as needed.) ________________________________________________________________ ________________________________________________________________________________________________________________________________ 9. Request the letter of reference early so it that can be received or postmarked by July 1, 2019.